You are currently browsing the archives for the tag 'sea shells'. 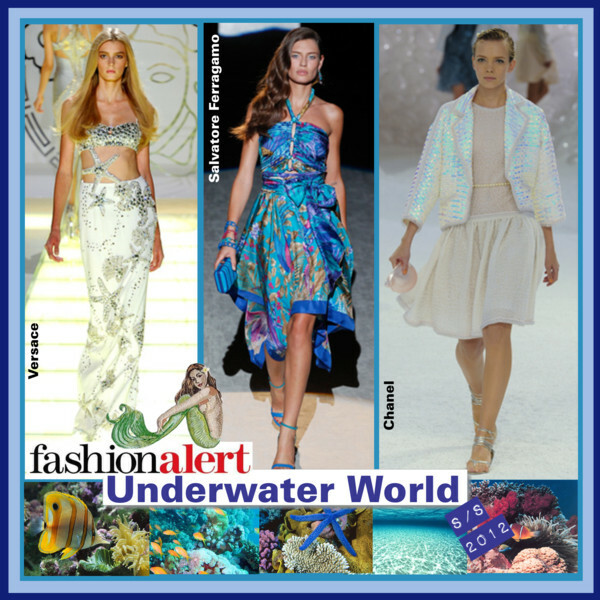 It was an Underwater World at many of the S/S 2012 shows. Many of the designers took inspiration from the deep blue and created one of the most important fashion trends for the summer season. I have outlined the most anticipated collections and pieces for you below, enjoy! 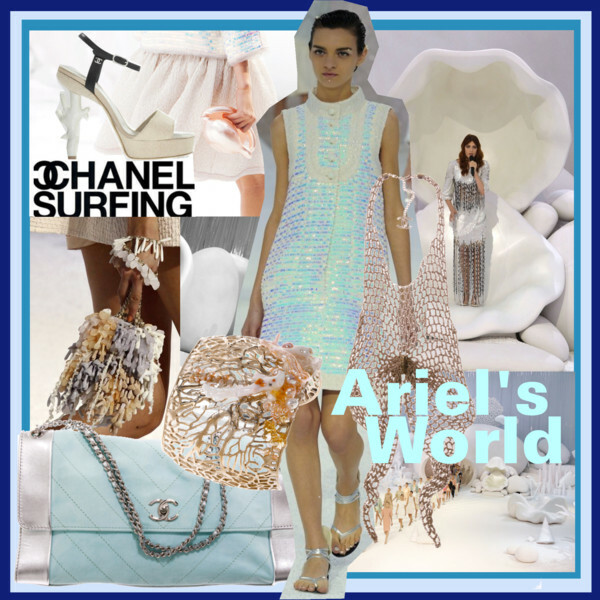 Karl Lagerfeld took the underwater trend to a complete new level with his S/S 2012 collection for Chanel. The scenery of his runway show looked like a stage setting for Ariel’s World. Some of the fabrics shimmered like fish scales. As usual at Chanel, the accessories played a big role, such as beautiful shell clutches (unfortunately extremely expensive) and wonderfully designed coral-shape heels plus sea world inspired fashion jewlery. 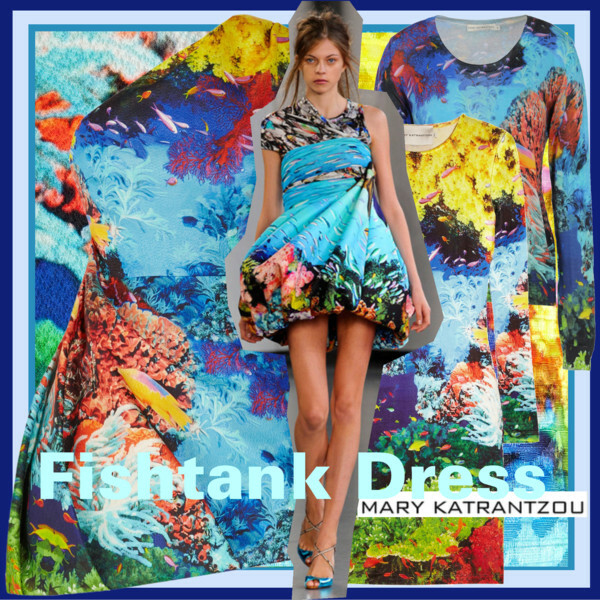 Mary Katrantzou showcased a stellar take on the trend from under the sea with her scene-stealing prints, as seen on the Fishtank dress. Swarming with tropical fish and colorful coral reefs, this punchy piece is a fabulous way to play out your fashion fantasies. 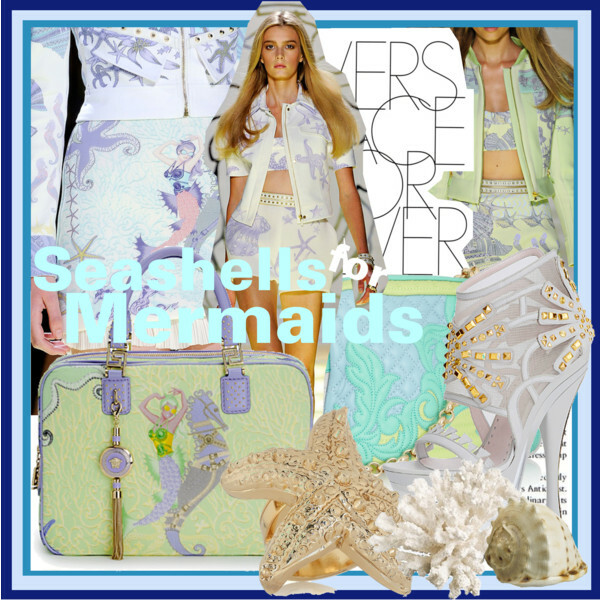 The Versace S/S 2012 collection was all about starfish and seashell embellishments and studded seahorse shapes. The look was a mixture of sweet pastels, ladylike elegance and studded biker pieces. Those glittering sea goddess gowns will surely be seen on the red carpet. A great low-budget way to get started on the look is this fun statement starfish gold-tone ring by Versace. 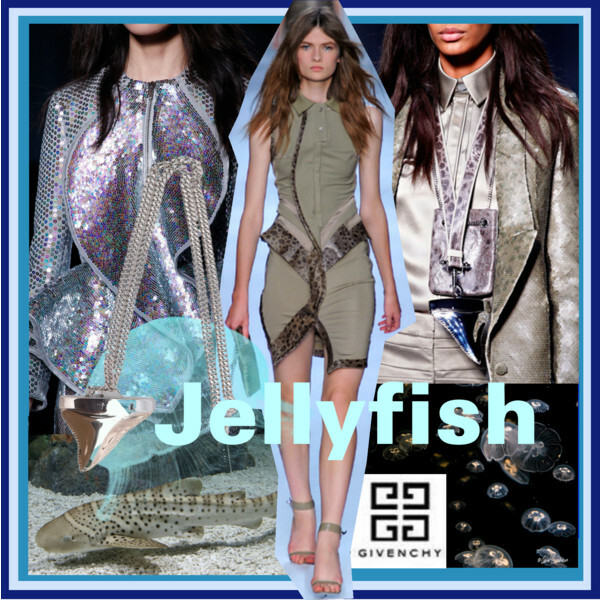 Gigantic shark tooth necklaces were seen on the Givenchy S/S 2012 runway as well as many jellyfish inspired jackets and dresses. One of my favourite collections of the summer season. You can shop a large selection of Givenchy at Matches and Farfetch. There are many wonderfully designed blue coloured pieces in stores now that really represent the fairytale world of the deep blue. Stella McCartney drew inspiration from the sea waves for her S/S 2012 collection.